I've wanted to do this post for a while now. 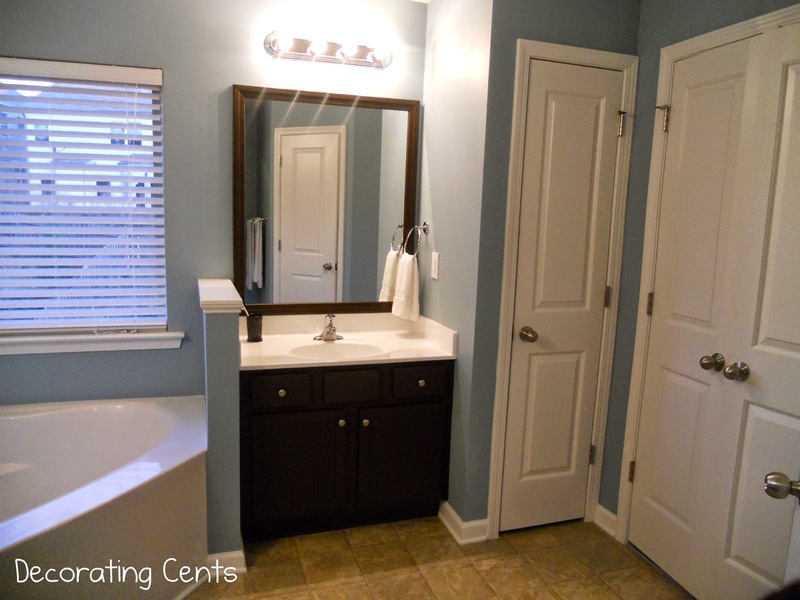 I thought it would be fun to have one post with all the paint colors I've used in the house. When we started painting, I didn't have a plan for all the colors to go together, I went with what felt right in the rooms. It looks like gray is becoming a favorite around here. The main floor is this color. It was the first color chosen in this house. I wanted something neutral and could flow throughout since our home is open concept. I wanted an accent wall in this space. This way I could break up all the tan. 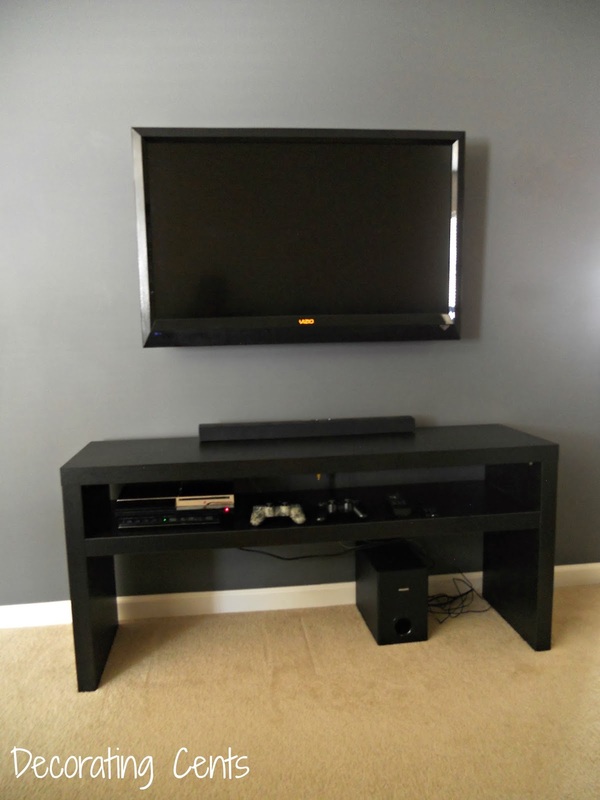 The color is a grayish-blue and works perfectly with the blue accents throughout the downstairs. This room is smaller but I knew with a darker color, it would bring a lot more drama. This dark gray started in the loft area. We were hesitant to go so dark but glad we did. It's nice to go up the stairs and be greeted by this wall. We loved this color so much, we carried it over to the front door. I have wanted a dark door for a while. I knew black wasn't an option because it can be stark and harsh. This gray was a good balance and looks great against the white trim. My daughter's room was one of the first complete. 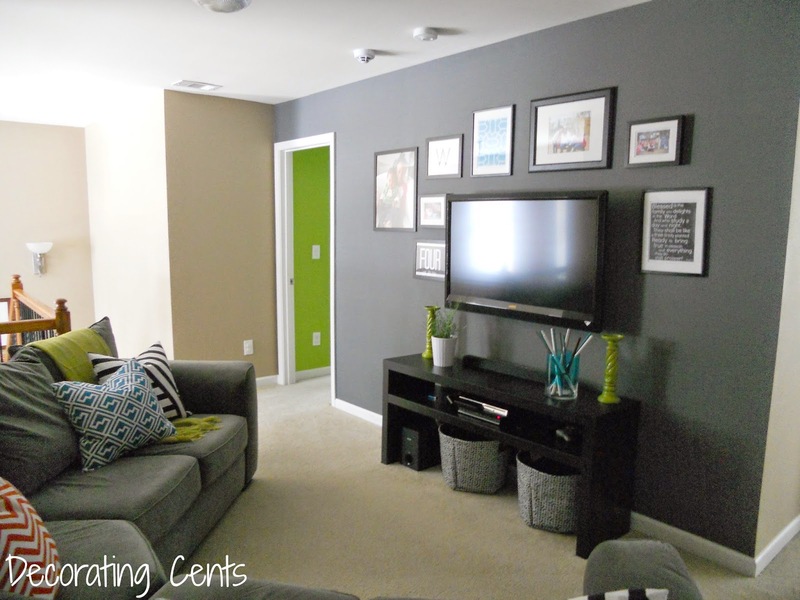 The bright green allowed me to have fun and use other colors that weren't used anywhere else in the house. The master bedroom is a light greige and a lot lighter than the rest of the house. I love the openness this color brings. We wanted the master bedroom to feel like a spa retreat. We felt like blue was the obvious color choice. The office is another shade of gray. It has more of a medium tone. 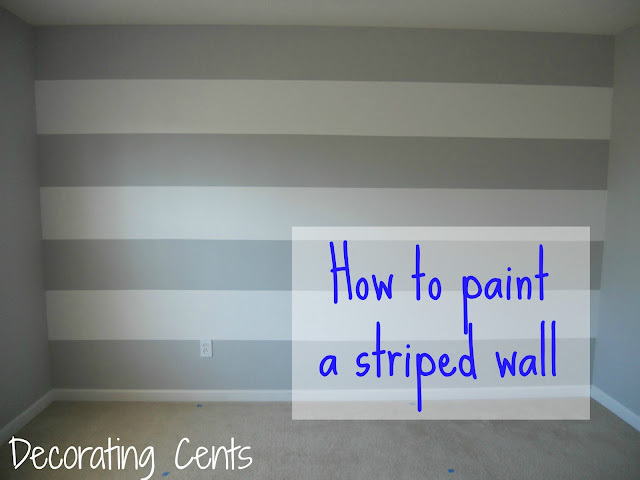 The nursery started gray but I wanted to try my hand at stripes. I love this wall in my son's room. It's such a focal point. I used this color in both my son's bathroom and my daughter's bathroom. It's funny how the color looks different in each space. My son's bathroom is more masculine with the gray accents. My daughter's bathroom is more fun with the bright pops of color. So glad I finally put this together. It's a quick reference for me and you. There are a few rooms I'm itching to paint over. 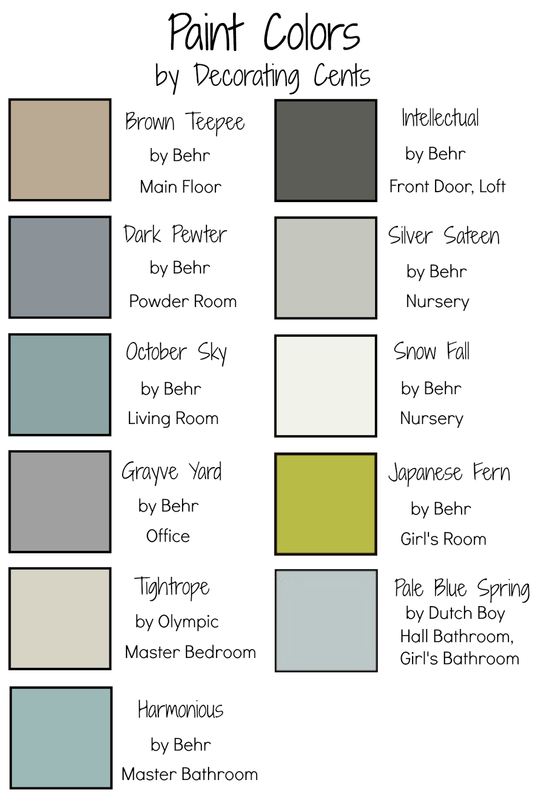 I would love the paint the entire main floor gray. I keep mentioning it to hubby, but he keeps saying no. It was a bear to paint it all ourselves so I know why he's saying no but I still want it. 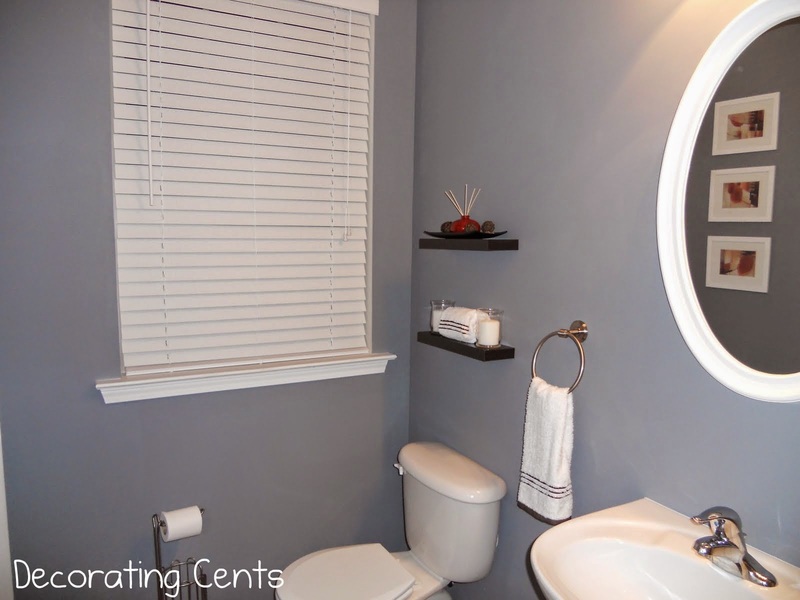 You're reading Paint Colors In Our Home by Andrea, originally posted on Decorating Cents. If you've enjoyed this post, be sure to follow Andrea on Facebook, Pinterest, Bloglovin, and Hometalk. This post came at the perfect time! I've been looking for a grey paint color and you've now given me several ideas! Love the color scheme in your home! Thanks for sharing! Where is your sectional from? It’s exactly what I’ve been looking for!